A promising gymnast, Annie Leblanc first rose to fame on Youtube, to which she posted a number of gymnastic tutorials. Originally from Augusta, Georgia, she first got involved with the sport at the tender age of three. A natural athlete, her skill set at the gym has only grown to be more impressive over the past few years. At just twelve years old, the brunette is currently training for the 9th level of USA Gymnastics. In addition to her personal Youtube channel, where she’s already amassed over 2.1 million subscribers, Leblanc also has a decent following on other social media platforms such as Musical.ly (over 10 million fans), and Instagram (3.8 million fans). Signed with Disney’s Maker Studios, she is also a member of the collaborative Youtube channel, Gymscool. Recently this year, her popularity spiked after she teamed up with Hayden Summerall on a cover of Little Do You Know by Alex & Sierra, which has since gone viral, with over 22 million views online. With all that she has going for her, how much has the 12-year-old managed to bank from her online fame? According to sources, Annie LeBlanc currently has an estimated net worth of $500,000. Let’s take a look to see where most of this money came from. 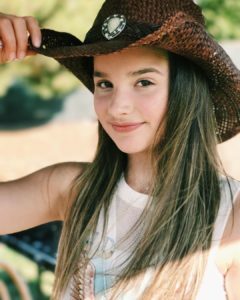 How did Annie LeBlanc Make Her Money & Wealth? 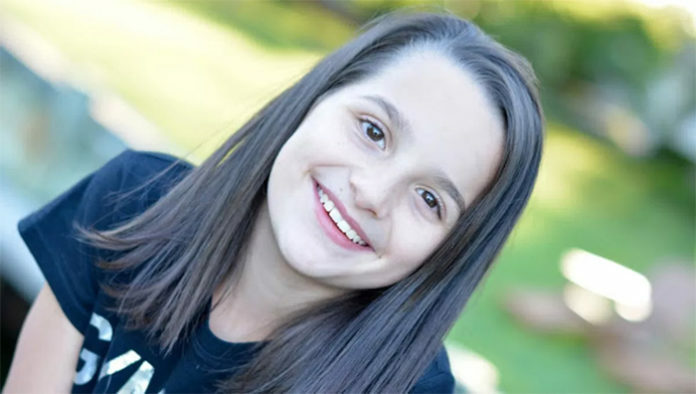 Born on December 5, 2004, in Augusta, Georgia, Annie Leblanc is the daughter of Katie and Billy LeBlanc, the latter of whom used to serve for the US Navy. One of three children, she has a younger sister named Hayley (who also used to be involved in gymnastics), and an older brother named Caleb, who tragically passed away from a congenital heart disease in 2015. When she was just three years old, she enrolled in her first gymnastics class- obviously, she hasn’t looked back since! At the age of six, her parents started a series of vlogs which they then posted onto Youtube under the username, Bratayley. Mostly family videos, it not only featured LeBlanc, but other aspects of their lives as well including her siblings, and pets. While the brunette has since gone on to work on her own channel, the account that her parents made remains active to this day. One of the more popular family-themed channels on the site, it has amassed over 4.8 million subscribers as of 2017! With 2.7 billion lifetime views, it’s only natural that they’ve been monetizing the channel. How much are they able to make from such an account? According to sources, they easily generate a few thousand dollars per day from Google ads displayed on the videos. On average, the family uploads one to two new vlogs per day- these constant updates allow their channel to grow quickly. According to Socialblade, their Bratayley channel currently gains upwards of 7000+ new subscribers a day. Since 2014, the growth of their account has been on a crazy incline; from January 2016 to January 2017, their subscriber count had jumped up to 3.7 million from a previous 2.09 million! As for daily video views, they receive upwards of 3 million on average, a day- talk about popular! As for LeBlanc’s personal account, she is the most active on her Youtube channel, acroanna. Monitored by her parents, videos have been going up onto the channel since 2008. Originally gymnastics based, some of her earlier uploads include: Level 1 Floor Routine, 3 Year Old Gymnast, Level 1 Floor Routine – 3 Year Old, 3 Year old gymnast does pull-over, and Daddy does a pull-over. As she got older, videos of her gymnastic meets were also posted onto her page. As her skills as a gymnast grew, LeBlanc eventually began to upload a greater of variety of videos including various challenges, and tutorials. For example, she has made tutorials for basic handstands, splits, and press handstands, all of which have since garnered millions of views. In the recent years, the brunette has also started to post regular vlogs, including tours of her room. From 2008 until now, her channel has grown tremendously, to say the least. As of August 2017, the 12-year-old’s Youtube channel has amassed over 2.1 million subscribers with more than 236 million lifetime views. Her most popular gymnastics video to date, Annie the Gymnast Level 7 State Gymnastics Meet 2015 has been viewed over 10.2 million times! With the audience that she has, it can only be assumed that she (or rather, her parents) have been monetizing on the views that she receives on site. As you’re probably already aware, Youtube users are able to earn money by displaying advertisements, as part of Google’s partnership program. While the exact amount of earnings depends on various factors such as location, audience and content, typically the site pays upwards of $5 per 1,000 ad views. While it may seem trivial at first glance, it can actually easily add up if you have enough views- like LeBlanc. How much has she earned from her main channel so far? Assuming she’s paid at least $2/1000 views, she would have made at least $150,000 by now from her videos. The way the system works, the more views you get, the more money you make. So, let’s take a look at how her channel has been growing over the past little while. According to Socialblade, Leblanc’s subscriber count has been going up fairly steadily since early 2014. From January 2014 to January 2017, her following has grown from 102K to 1.15 million- that’s over a 10x increase! As for how many new followers she gets on a daily basis, right now it looks like she gains anywhere from 2K to 6K+ a day. At the rate that her channel is growing, it wouldn’t be surprising for her earnings to go up in the near future. Earlier this summer, LeBlanc’s received a boost in popularity after she collaborated with pop singer Hayden Summerall on a cover of Alex & Sierra’s, Little Do You Know. A huge hit, it pulled in hundreds of thousands of views within a few hours of being uploaded onto Youtube; by the 48 hour mark, it had been viewed more than 4 million times on the site. One of the first displays of her singing talent, the video has since been viewed over 22 million times on her channel- in just two month’s time! Considering what we said earlier about earning ad revenue, the 12-year-old would have easily made at least $15,000 from the song alone on Youtube! Currently, her channel is managed by Disney Makers Studio. In addition to her personal Youtube channel, LeBlanc is also a part of a collaborative account called Gymscool. Since it was first launched in April 2015, more than 240K individuals have subscribed; as of August 2017, the collab channel has received over 25.5 million lifetime views. Some of the channel’s most popular videos include: Gymscool, Gymscool Premier: “LIMMO”, Happy Birthday Coach Mary, Spider Web Team Challenge, and Trick Flicks Week 12. Aside from her success on Youtube, the gymnast also has an impressive following on Instagram- close to 4 million to be exact! With that kind of reach, it wouldn’t be surprising if she were to receive endorsement offers from brands looking to use her popularity as means of advertising. Not just Instagram, but Leblanc is also well known on several other platforms including the lip-syncing app Musical.ly, Snapchat, and Twitter. Reiterating what we’ve said earlier, Annie Leblanc currently has an estimated net worth of $500,000. Drawing from all that’s been said above, it’s clear that Youtube is a major- if not the major, source of income for the gymnast. As mentioned previously, she would have easily already made a few hundreds of thousands of dollars from ad earnings alone on the site. Considering how she’s a natural in front of the camera, it wouldn’t surprise us if she were to one day branch out into acting. In fact, she was actually featured in an episode of the animated cartoon, Max and Midnight (2016) last year. With everything that she has going for her (and at such a young age), it’s highly likely that her success will continue to grow in the near future. Does Annie LeBlanc Have a Boyfriend? At twelve years old, the brunette is a bit young to have a boyfriend. Having said that, many fans have speculated for a while that she’s been dating Hayden Summerall (whom she recently collaborated with on a song); these claims have not been confirmed. Where Does Annie LeBlanc Go to School? Previously, the gymnast went to a local elementary school. Due to the increasing demands of her gymnastics training however, she eventually had to switch to home schooling. 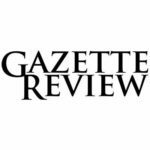 Reportedly, she plans on attending the National Collegiate Athletic Association College after graduating from high school (which is still a ways away). No, Annie is just a nickname given to her by her parents that she frequently goes by. Her real full name is Julianna Grace LeBlanc. Originally from Georgia, she currently lives with her parents and sister in Maryland, where she continues to train in gymnastics. Understandably, we do not have any information or photos of their family home. Her older brother Caleb (who used to run a gaming channel on Youtube), passed away unexpectedly in 2015 from a rare congenital heart condition. A tragic event, it understandably caused much grief for the entire family. Incredibly close to her brother, LeBlanc reportedly wore his hoodie for many days following his death, having refused to take it off. As far as her online career goes, the 12-year-old has definitely made her mark on the internet with over 2.1 million subscribers (and counting!) on Youtube. Aside from Youtube, she’s also well known on Instagram, Twitter, Snapchat and Musical.ly. In terms of her gymnastics career, it’s clear that she’s naturally talented in the sport. At just twelve years old, she has managed to make it to the ninth level, the second highest level in the United States. Interestingly enough, she had actually skipped level 6 in gymnastics. Despite her undeniable talent in the sport however, she has not expressed an interest in going to the Olympics. How Much Did Annie LeBlanc Make Last Year? We do not have any information on Annie LeBlanc’s 2016 earnings at this time. If you’d like to know what the 12-year-old gymnast has been up to recently, be sure to subscribe to her Youtube channel (if you haven’t already done so! ).